A well-sherried dram from cult favourite distillery, Glenfarclas. This is perhaps the best value whisky in their lineup, offering a lot more complexity and depth than the 10 and 12 year old offerings. 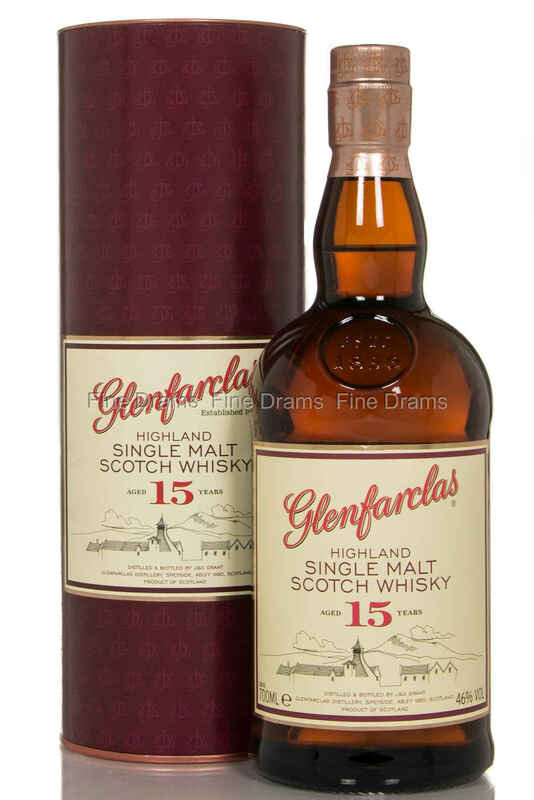 Glenfarclas 15 serves up plenty of classic ‘farclas character, with bold flavours of Christmas cake, sherry soaked dried fruit, espresso, vanilla, toffee, chocolate, orange zest and creamy fudge. Rumour has it that there is quite a lot of whisky older than 15 years in the vatting for this bottling. Rich and satisfying whisky, this benefits from being bottled at 46% ABV, giving the flavours and mouthfeel a real boost. One that every serious whisky fan has to try.